The Finance Act, 2017 inserted clause (x) in sub-section (2) of Section 56 of the Incometax Act,1961(‘the Act’) so as to widen the scope of taxability of receipt of sum of money or property without/inadequate consideration. Under the said clause read with Rule 11UA of the Income-tax Rules, 1962(‘ the Rules’) if a person receives jewellery or artistic work or shares and securities for no / inadequate consideration, the fair market value(FMV) of the same is taken into account for computing taxable income under the said clause. Similarly, for immovable property, the stamp duty value is taken into consideration for determining taxability under the same section. However when these assets are received as underlying assets of unquoted equity shares of company, the book value (and not the FMV / stamp duty value) is taken into consideration for determining the value of such shares. Further, Finance Act, 2017 inserted new section 50CA in the Act w.e.f 1st April, 2018 to provide that where consideration for transfer of unquoted equity share of a company is less than the FMV of such share determined in accordance with the prescribed manner, the FMV shall be deemed to be the full value of consideration for the purposes of computing income under the head "Capital gains". 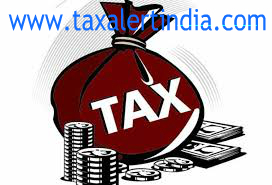 In order to have wider consultation in this matter, the draft of proposed amendment of rules under the Income-tax Rules, 1962 to prescribe the method of valuation of unquoted shares for the purpose of clause(x) of sub-section (2) of section 56 and section 50CA of the Act has been uploaded on the website www.incometaxindia.gov.in. The stakeholders are requested to send their comments/suggestions on the draft notification by 19th May, 2017 to the e-mail address (dirtpl2(at)nic.in).